Last night Bryce Gray from the Clark Fork Coalition’s Volunteer Corps led a group of about 6 people armed with various weed-removal tools to an area along the west bank of Rattlesnake Creek (approximate location here) where an invasive European shrub called “buckthorn” (Rhamnus cathartica) has taken hold. We pulled a few dozen plants ranging from 1 to 5 feet in height, along with a few houndstongues whose seeds we bagged for safe disposal. Future trips will be scheduled to contain and knock back this invader. Check with CFC for details. 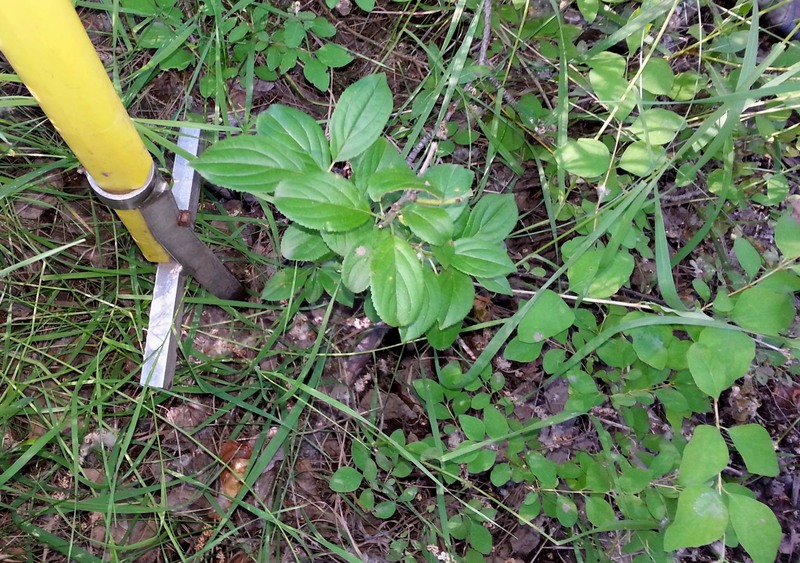 If you go, try to bring a weed wrench–last night was my first experience with this fabulous tool which works great for a small slippery shrub like buckthorn. Posted on July 9, 2014, in Uncategorized. Bookmark the permalink. Leave a comment.